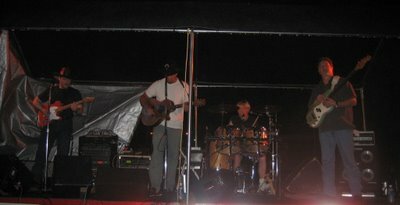 This is Deputy 5 Band, a regular feature at the Pell City Home Town Block Party. Their fare is down home country music done right. If you ever catch them live, they do requests. By the way, you just might recognize the drummer. you said "regular feature". how many years has pell city had the block party. where is it held? This was my second, but I think the seventh annual for Pell City. It is held on several city blocks downtown. Deputy 5 was staged right in front of City Hall and the Woodcarvers were in front of the County Courthouse.